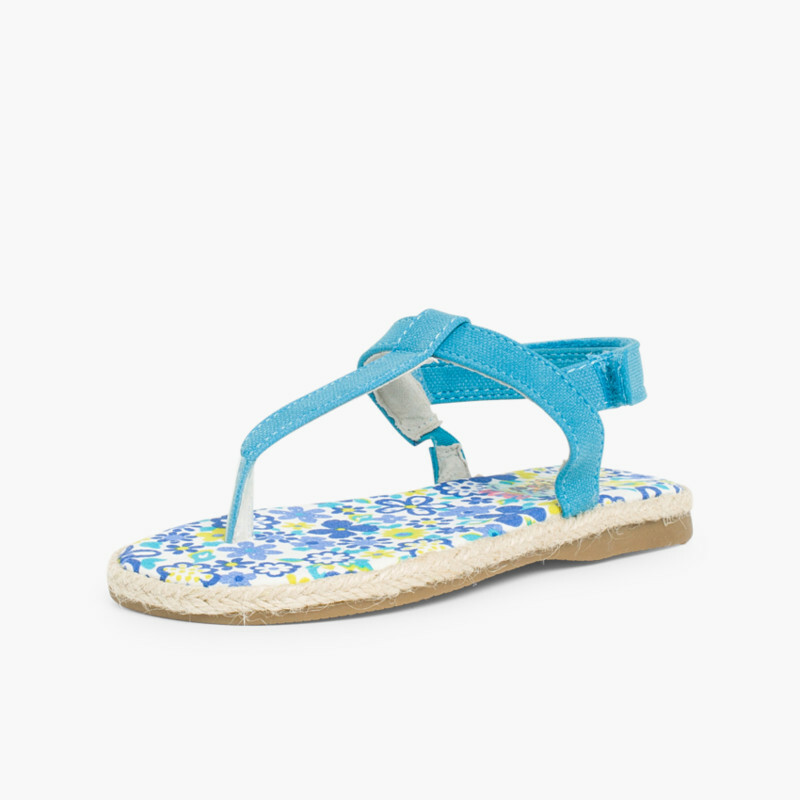 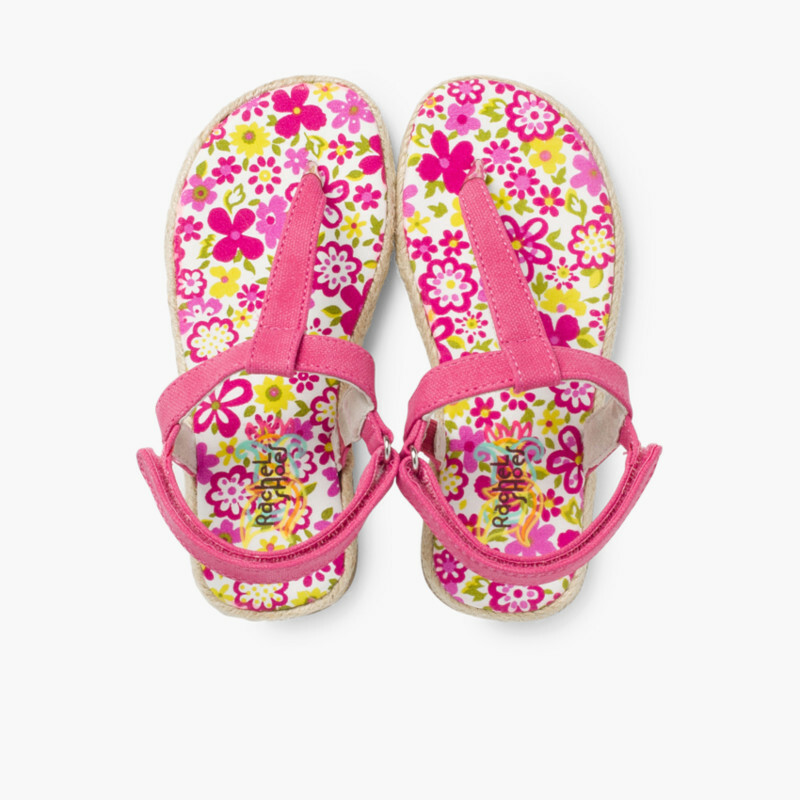 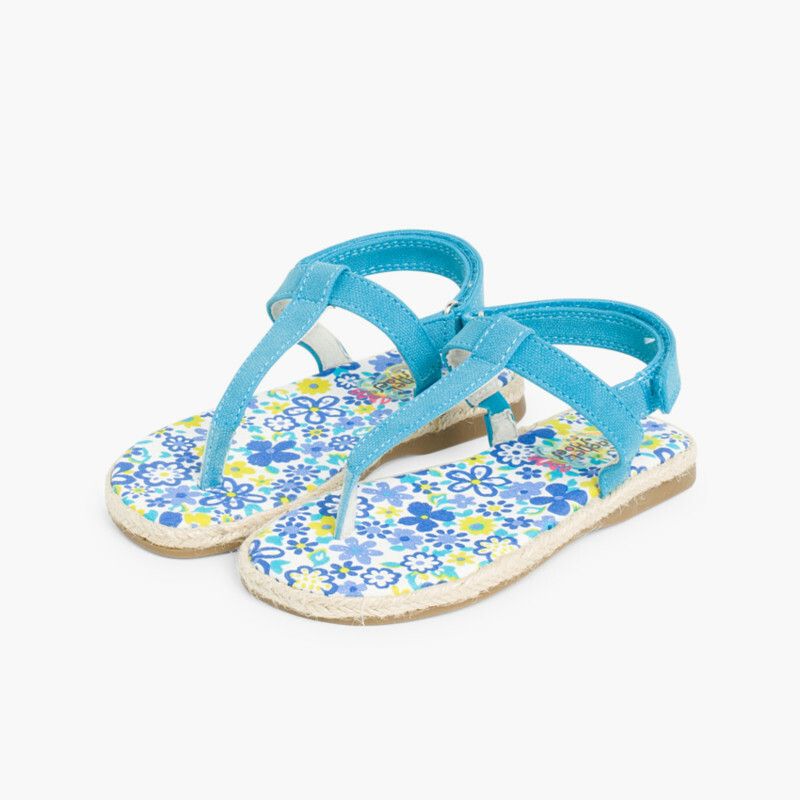 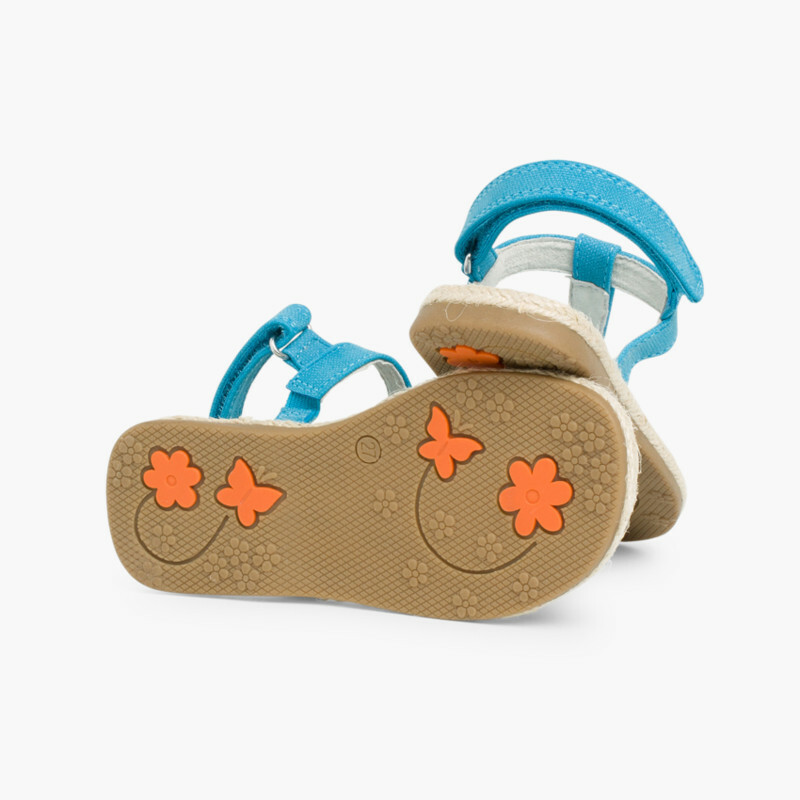 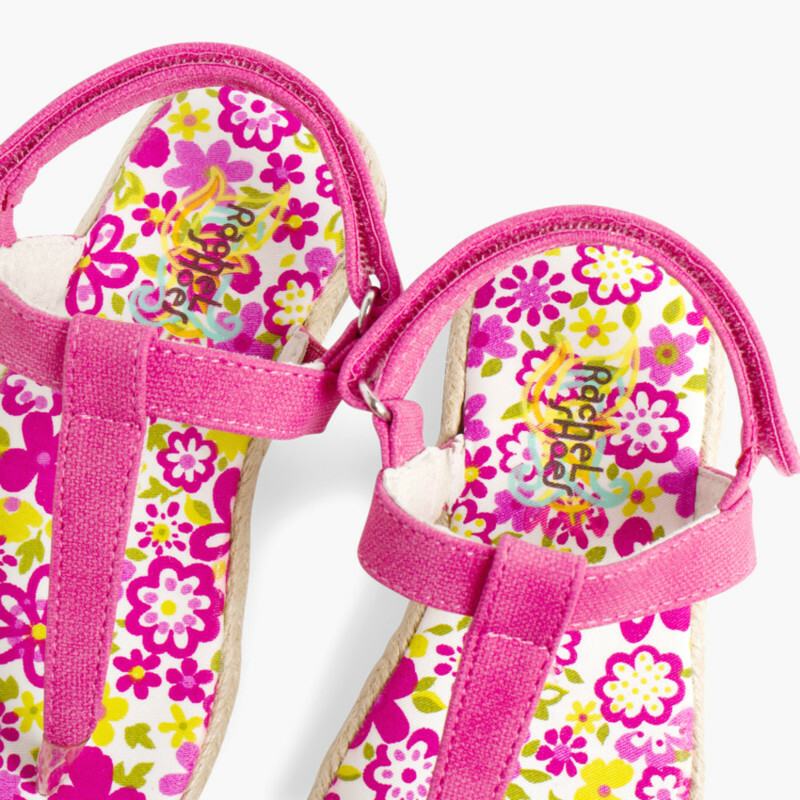 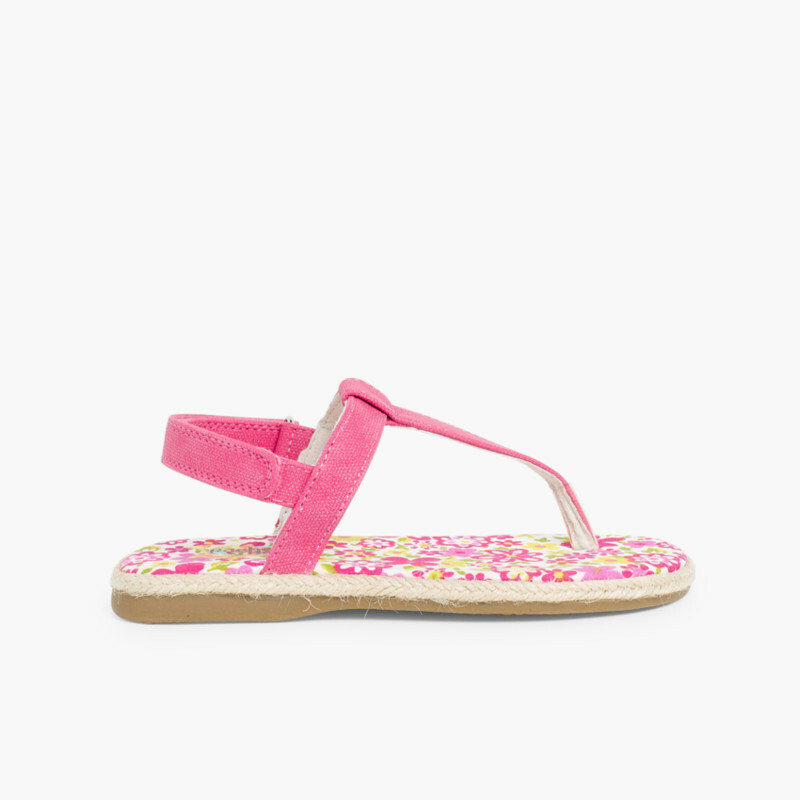 Canvas flip-flop sandals for girls with velcro fastening. 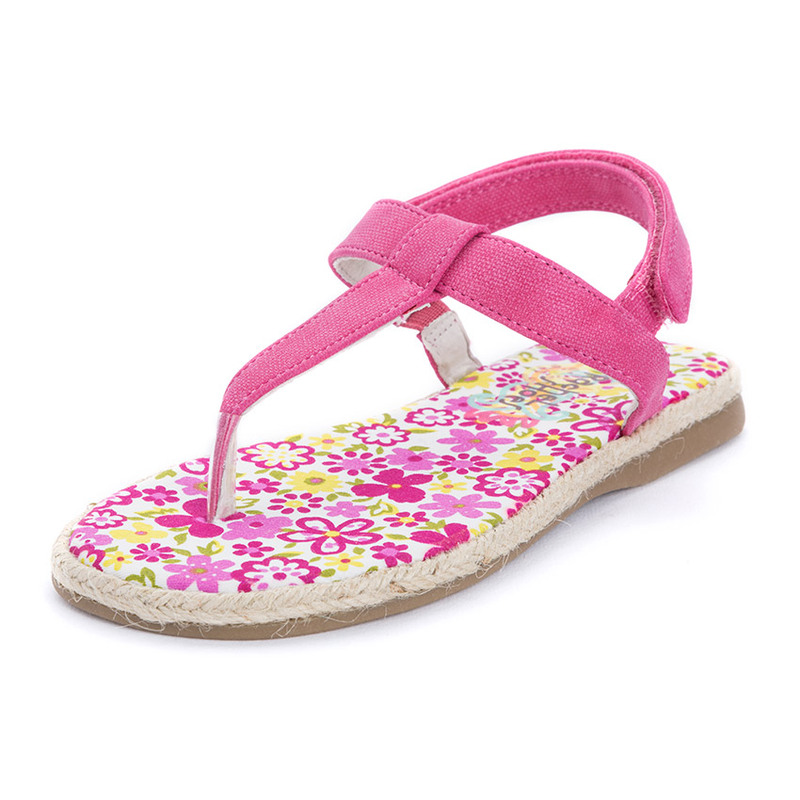 Beautiful and comfortable and in fashion this spring-summer season. 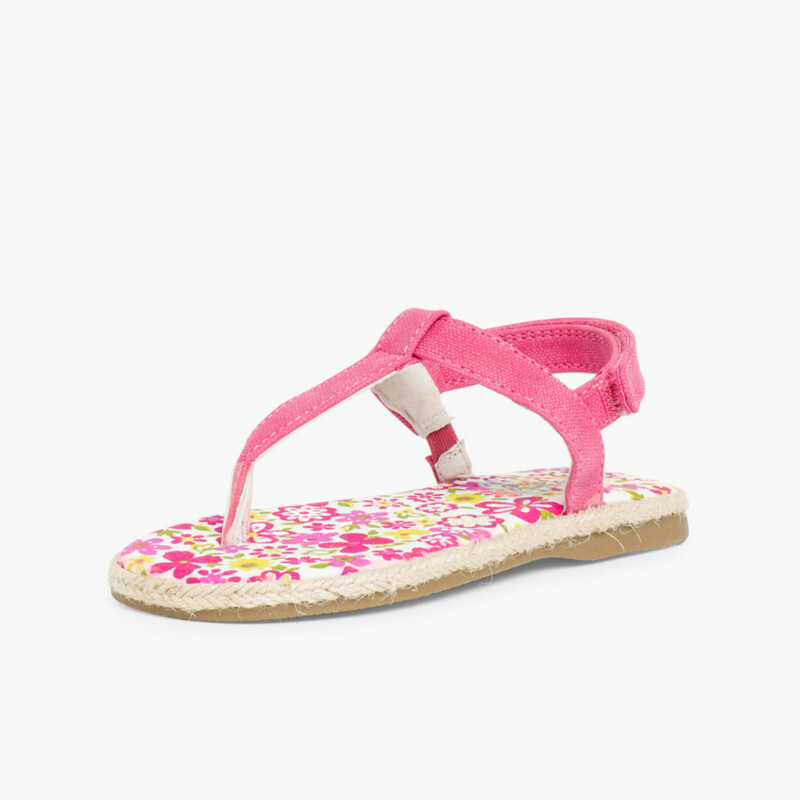 Get them cheaper here. 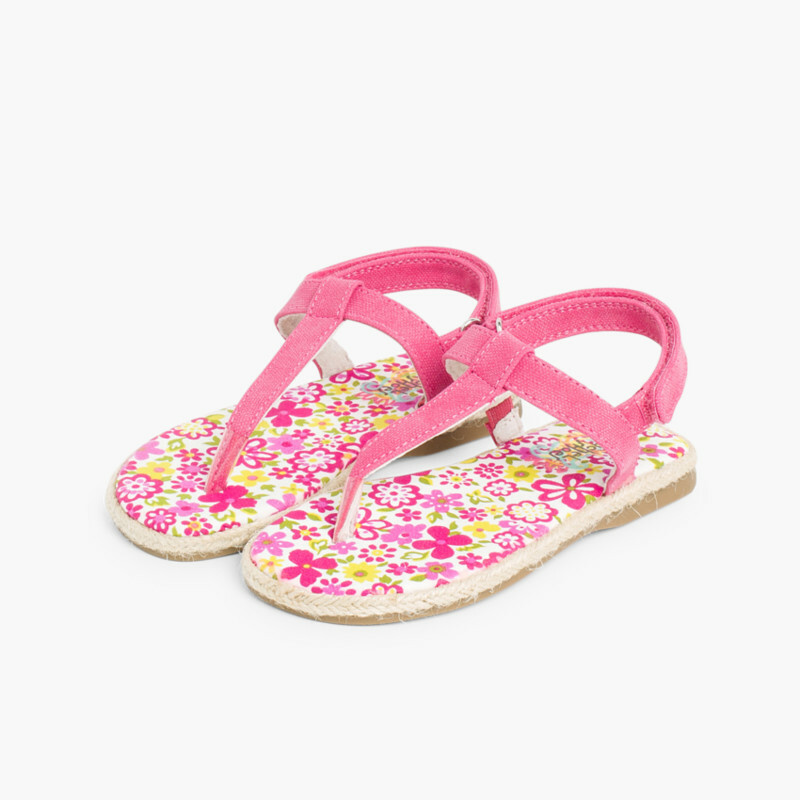 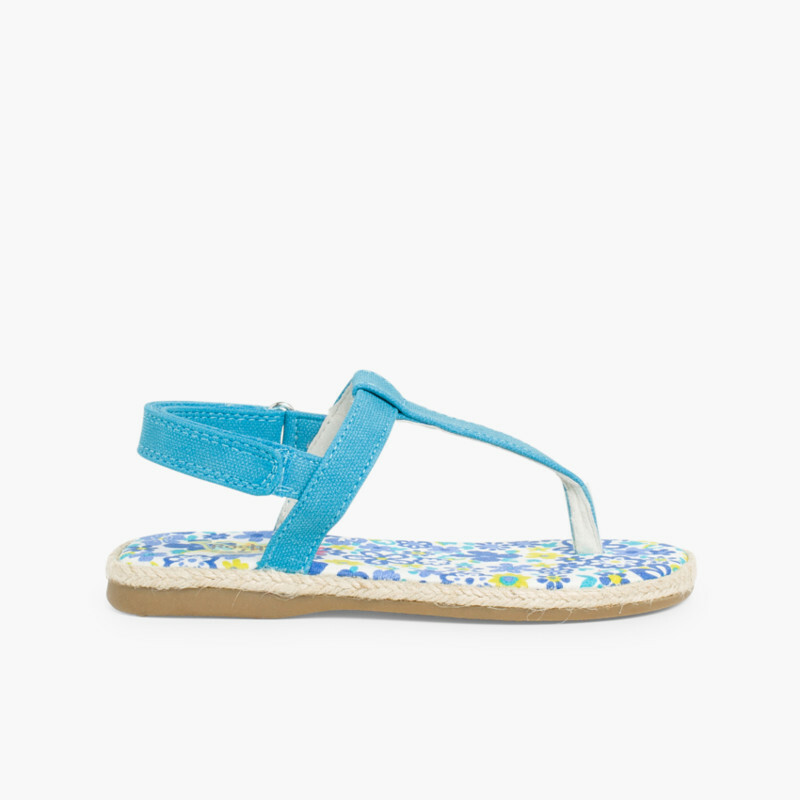 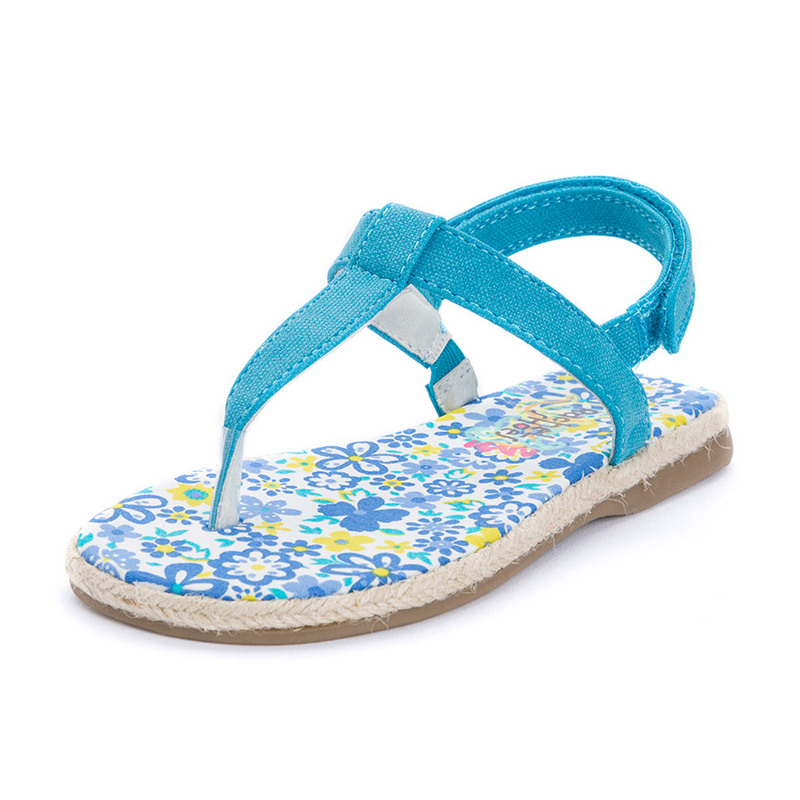 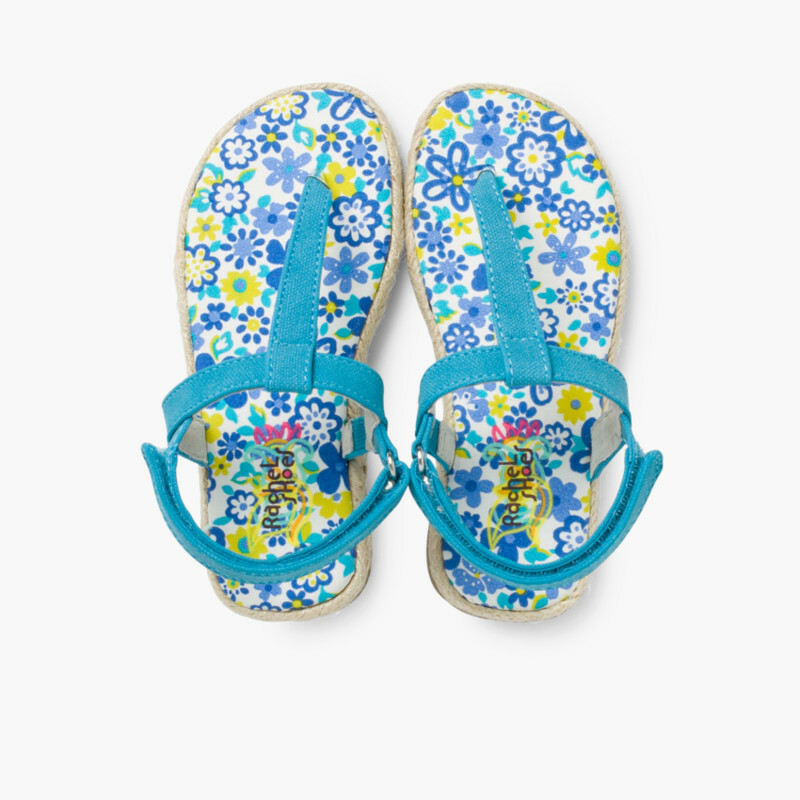 Quality footwear made in Spain, sandals for girls, ideal for the spring and summer seasons. 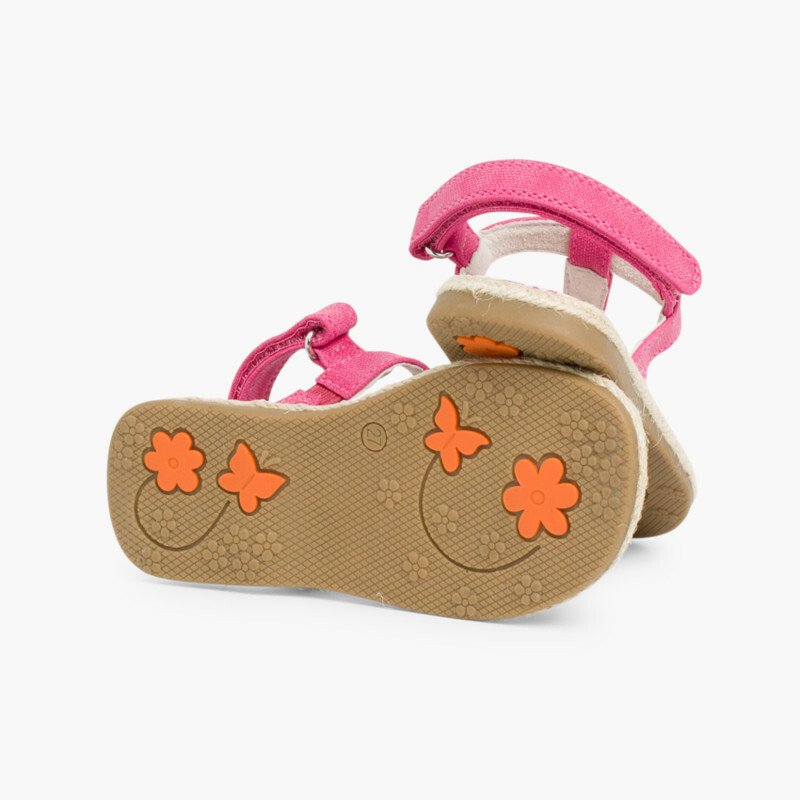 Manufactured with quality flexible and natural materials. 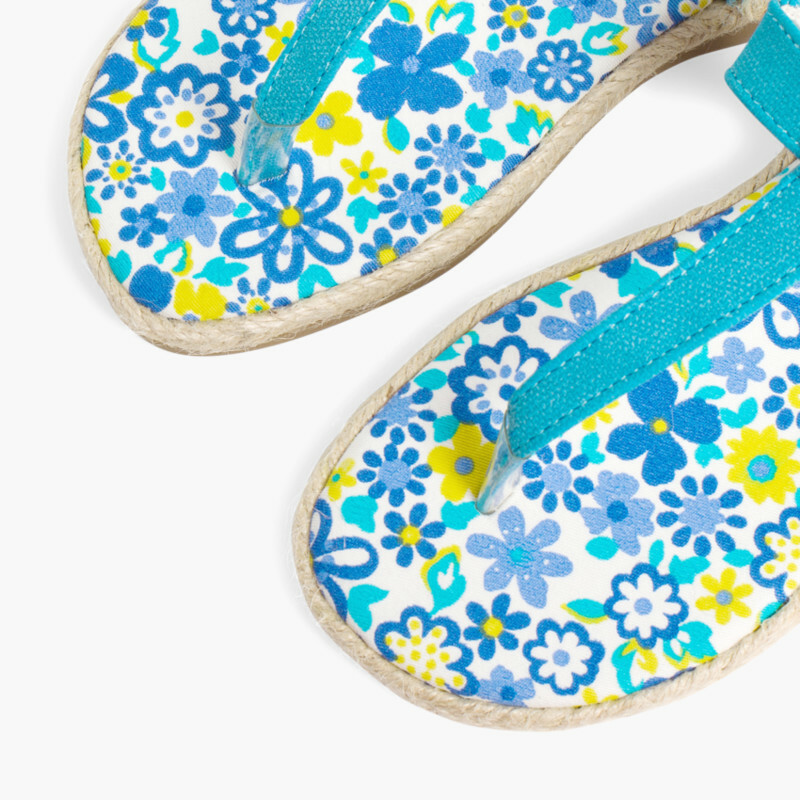 Canvas uppers and rubber soles. 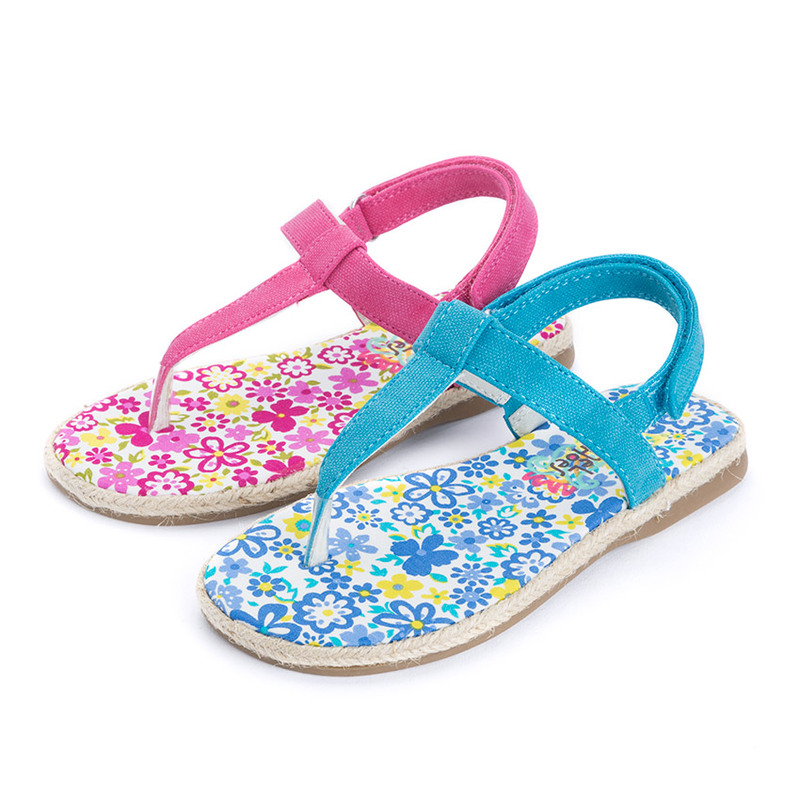 In fashionable colours such as turquoise blue and fuchsia, fresh summer colours to match them with all your daughter's outfits!